A lovely video appropriate for Holy Week involving school children from (I'm guessing) Rend Collective's home area in N. Ireland. A heartfelt response to Jesus' sacrifice for us. The chapel in Wasing Park (nr Reading) where my nephew got married yesterday. 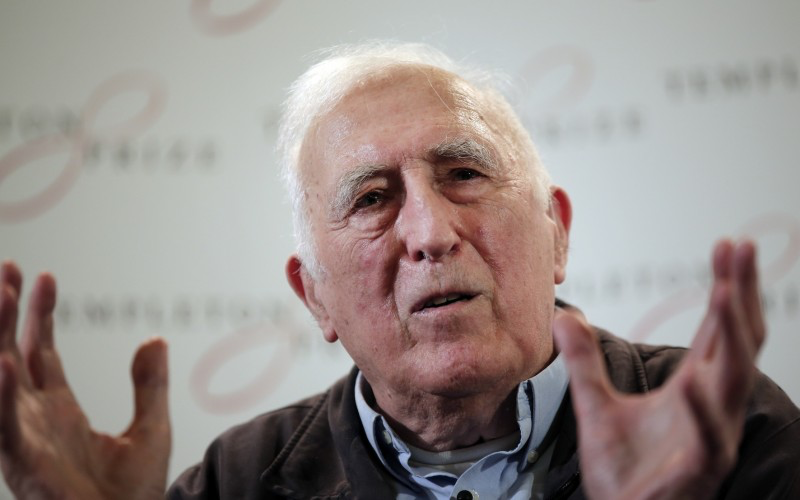 "This year the Templeton Prize, an annual $1.5 million award given to someone who has made “exceptional contributions to affirming life’s spiritual dimension”, has been awarded to Jean Vanier, the founder of L’Arche. Previous recipients include Mother Teresa of Calcutta, the Dalai Lama, Bishop Desmond Tutu, Billy Graham…" The article goes on to look at the origins of L’Arche. If you have never heard of L'Arche, look them up. It is a remarkable organisation with a network of houses/communities around the world. Their founder, Jean Vanier, is someone quite special and a true inspiration. Me + Bro. Jacques with some young adult friends at #Flame2 last week. De La Mennais Bros at #Flame2 last week.